On 4 and 5 August, 1941, German spy Josef Jakobs was brought before a court martial at the Duke of York's Headquarters in Chelsea. The court martial had a panel of "judges" who were high-ranking military officers. It was there job to decide whether Josef was guilty or innocent of the charges brought against him. In addition, there was an Attorney for the Defence (Captain E.V.E. White) and an Attorney for the Prosecution (Major A.A.H. Marlowe). Finally, there was an interpreter (Lieutenant W.J. Thomas, Intelligence Corps) and a stenographer (Quartermaster Sergeant B.A. 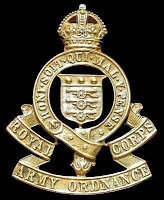 Balment, Royal Army Ordnance Corps). Information on these last two individuals is a bit sketchy. In all likelihood, the interpreter was one Lieutenant William James Thomas, service number 7197. Tracing his service number, one finds that William was originally a private in the Royal Sussex Regiment. In August 1940, William was commissioned as a Lieutenant in the Auxiliary Military Pioneer Corps. 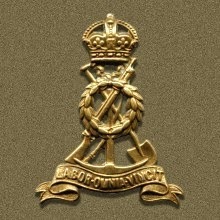 The Pioneer Corps was the labour corps of the Army, responsible for light engineering tasks. During World War 2, thousands of enemy aliens (Germans, Austrians, Italians) joined the Pioneer Corps to serve their adopted country. They came to be known as the "King's Most Loyal Enemy Aliens". Given the fact that William served as interpreter at Josef's court martial, he must have been quite fluent in German, probably one of the reasons he was commissioned into the Pioneer Corps. A year later, on the 21 June, 1941, William was transferred to the Intelligence Corps. Finally, on 18 August, 1943, William resigned his commission as Lieutenant and was re-granted the rank of Lieutenant. In all likelihood, the stenographer was Bertram Anthony Balment. Born in Croydon in 1908, Bertram, went on to wed Mary Teresa Grannell in 1930. Bertram was a stenographer in civilian life and ended up serving with the Royal Army Ordnance Corps. He passed away in 1959 at the age of 51.